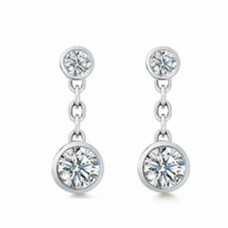 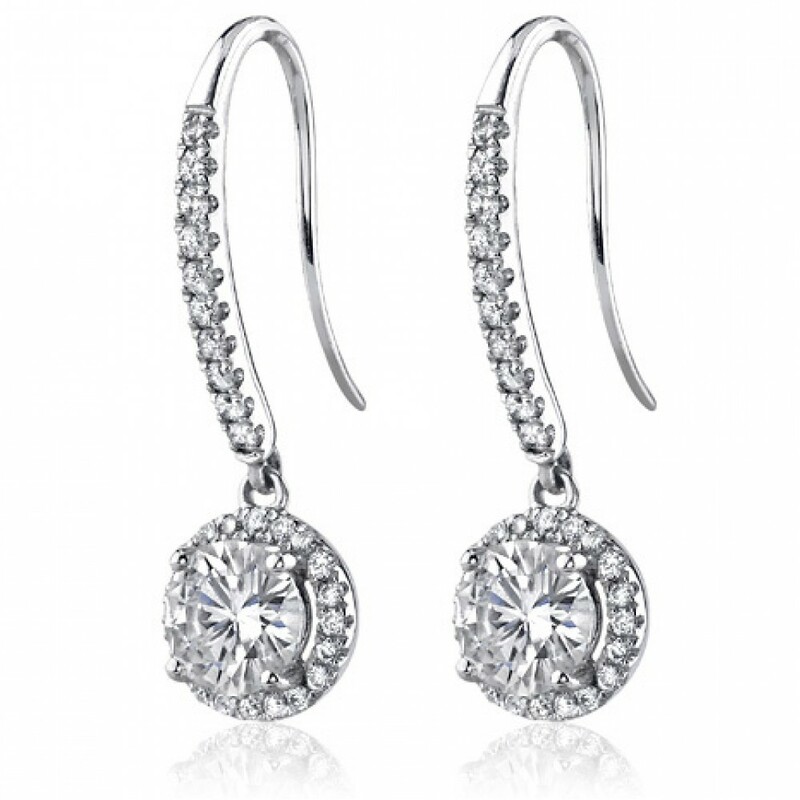 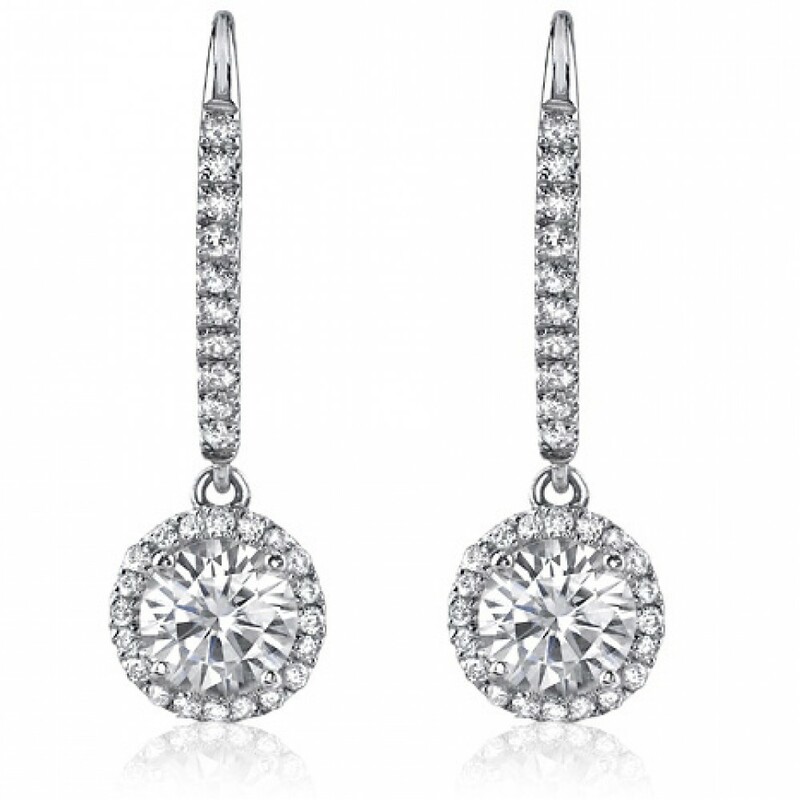 These diamond drop earrings have a remarkable look. 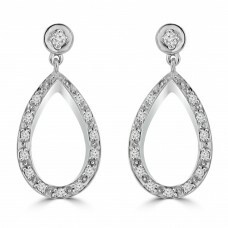 A white gold loop connects a snap hook together with a beautiful drop portion. 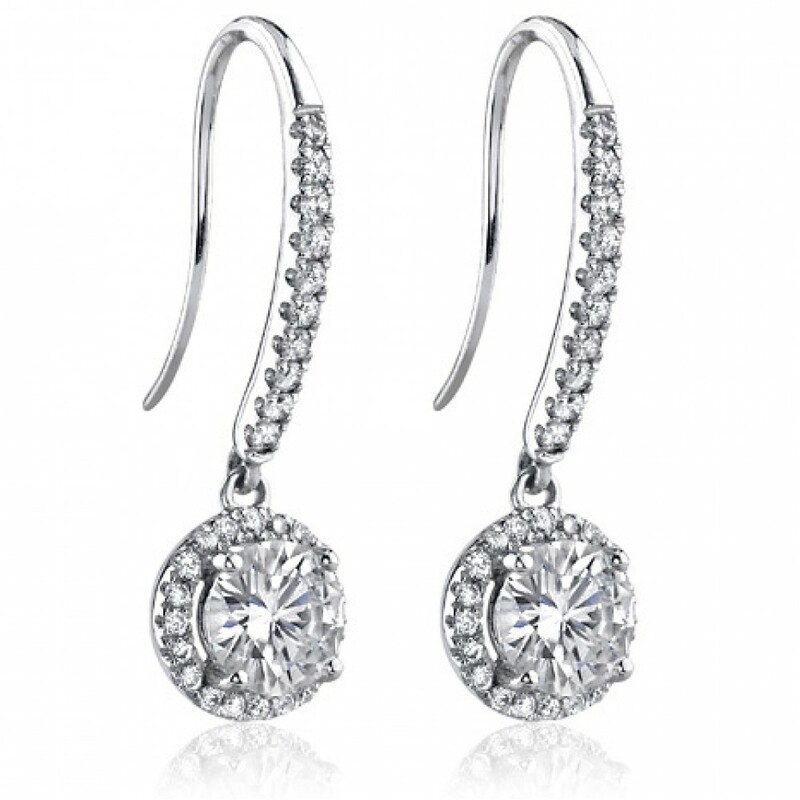 Each drop portion features a prominent round center diamond encircled by smaller diamonds. 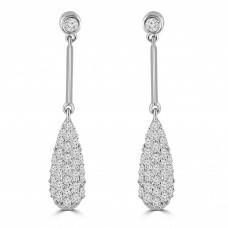 A prong setting holds each diamond in place, allowing the maximum light to shine through.